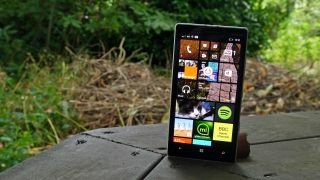 Microsoft is preparing for its first phone release in over six months, but it's not going to come cheap: a new pricing leak suggests the Lumia 950 XL will be the same price as the iPhone 6S in Europe. According to Spanish retailer Ecomputer, the Lumia 950 is set to cost €659 while the larger Lumia 950 XL will cost €749. That's not cheap though – it's the same as the going price for an iPhone 6S in France, and it's likely to be a similar price in Spain when Apple announces its pricing. Leaks suggest the Lumia 950 will have a 5.2-inch display with a resolution of 1440 x 2560, a Qualcomm Snapdragon 808 chipset and 3GB of RAM. That's alongside 32GB of internal storage and a 3,000mAh battery. The Microsoft Lumia 950 XL looks like the more attractive proposition, with a 5.7-inch display with a resolution of 1440 x 2560, a Qualcomm Snapdragon 810 processor, 3GB of RAM and a 3,300mAh battery. On top of that is 32GB of storage, a microSD slot, a 20MP PureView rear camera and a 5MP front-facing selfie shooter. Considering the state of Windows Phone right now, it's interesting that Microsoft believes it can keep its phones priced at the same point as Apple's latest flagship. It'll be interesting to see how it's priced in the UK and US – and even more interesting to see how it fares in terms of sales when it arrives.